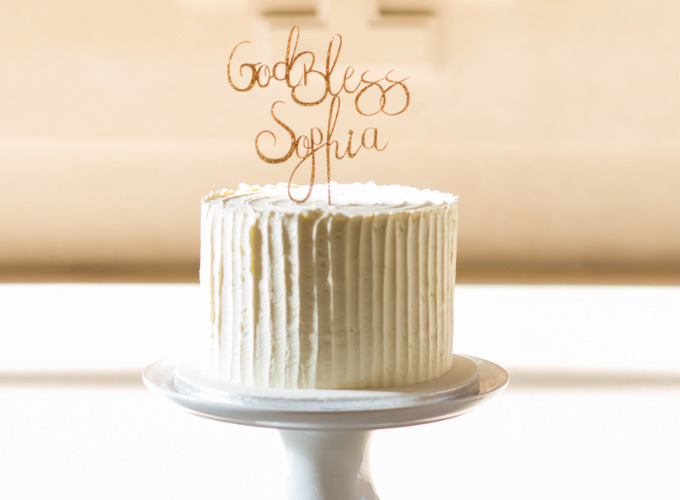 We were delighted to be able to make a personalised cake for the recent baptism of baby Sophia. 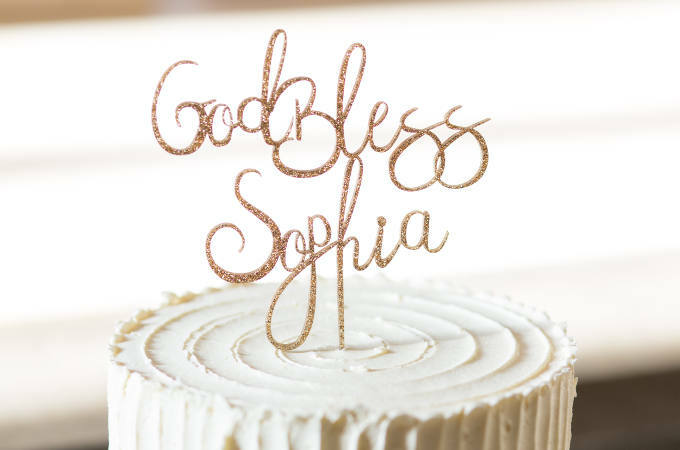 A beautiful baby with a beautiful name deserved an angelic and serene celebration cake, and we think we made the perfect cake to fit in with the occasion. A baptism symbolises purification and admission to the Christian Church. That’s why we wanted to make a special cake to represent the purity of the occasion. We hope you’ll agree we took the cake brief to perfection. 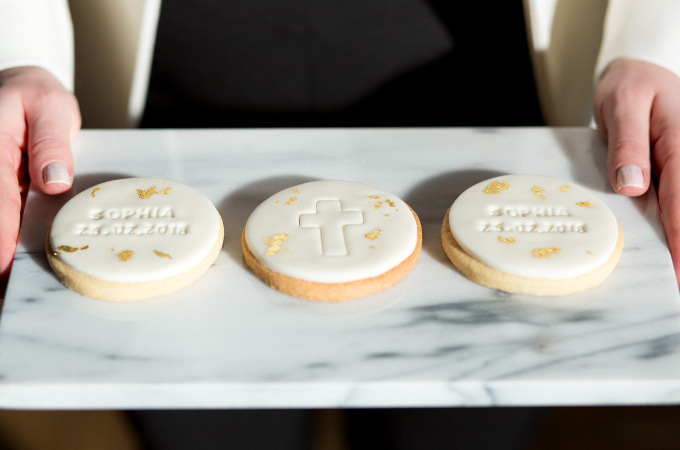 Sophia’s family were delighted and loved our simple elegant cookie designs too. We decorated the cookies in white icing with drips of gold leaf to represent the sprinkling of water – a fundamental symbol of the baptism. After a beautiful ceremony, we heard that Sophia’s cake went down a treat. God Bless Sophia and God Bless cake. It’s tradition to mark such an occasion with cake. We’ve made hundreds of personalised christening cakes and we know just how important it is to get the cake design right. A christening cake is a very special cake for a very special celebration. 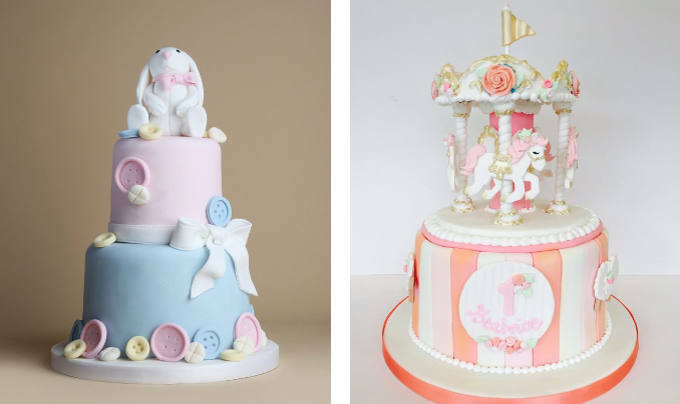 Get in touch with our fabulous cake makers if you would like a christening, baptism or naming day celebration cake that is every bit as perfect as the day itself. At Cakes by Robin, we make beautiful cakes for beautiful babes and beautiful occasions. Here are some of our favourites.